Idiopathic Thrombocytopenic Purpura (ITP) is a misnomer. The rare condition causes antibodies to destroy platelets important for blood clotting, and can produce symptoms of low platelet count, unusual haemorrhaging, including intracranial haemorrhage (rare but potentially life threatening), mucosal and gingival haemorrhaging, abnormal menstruation, petichiae, purpura and a general propensity to bruise easily. However, some patients may remain asymptomatic other than a low platelet count. Acute and spontaneously resolving occurrences are more commonly seen in children, whilst adult onset ITP is more likely to be chronic. The terminology assigned to the disorder has changed and evolved over time, reflecting increased understanding of the mechanisms of ITP through medical and scientific advancements. The issue of the misnomer stems from our increased knowledge – as it turns out, ITP is generally not “Idiopathic”, and purpura is not seen in all patients. Medicine has a long held fascination for ITP. Stasi and Newland’s ITP: a historical perspective, notes a number of potential examples of ITP, the first dating back almost a thousand years. A description by Avicenna of purpura with characteristics of ITP can be found in the 1025The Canon of Medicine.In 1556 a case of spontaneously resolving purpura and bleeding is reported by Portuguese physician Amatus Lusitanus in the book Curationum Medicinalium Centuriae. Lazarus de la Riviere, physician to the King of France proposes in 1658 that purpura is a phenomenon caused by a systemic bleeding disorder. In 1735 Paul Gottlieb Werlhof, a German physician and poet, provides us with the first detailed description of a case of ITP, which subsequently becomes known as Werlhof’s disease. Controversy arises regarding the mechanisms of thrombocytopenia, with Frank in 1915 suggesting it is the result of suppression of megakaryocytes by a substance produced in the spleen, alternatively Kaznelson purports thrombocytopenia is due to increased destruction of platelets in the spleen. In 1916, Kaznelson persuades a professor to perform a splenectomy on a patient with chronic ITP, the outcome of which is a startling postoperative increase in the patient’s platelet count and resolution of purpura. Splenectomy becomes the prevailing treatment for those with refractory ITP for many years. Self-experimentation in medicine is considered by some to be a historical tradition, and preferable to the unethical treatment of patient subjects, the extremes of which can be seen in examples such as the Tuskegee Syphilis Experiment. The self-experimentation undertaken in the Harrington -Hollingsworth experiment was risky for the participants, but is a good example of experimentation that could not be undertaken ethically on research subjects. In 1950 Harrington and Hollingsworth, who were hematology fellows at Barnes Hospital in St Louis, endeavored to test their idea that the cause of ITP was a factor in blood that destroyed platelets. Harrington, who happened to match the blood type of a patient being treated at the hospital for ITP, received a 500ml transfusion of the patient’s blood. Hours after the procedure Harrington’s platelet count plummeted, and he had a major seizure. 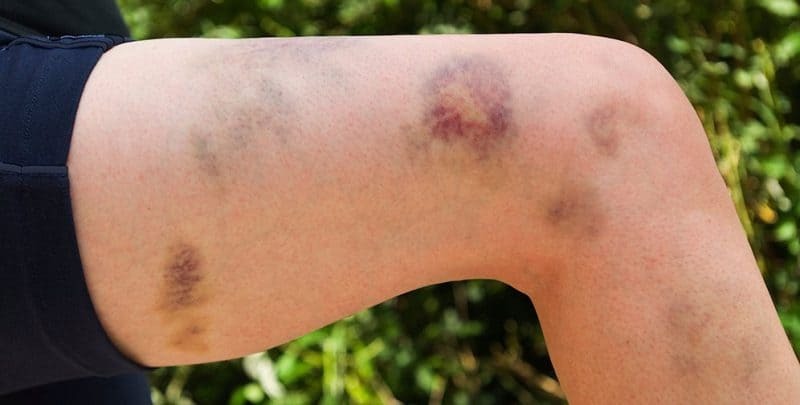 Bruising and petichiae became conspicuous over four days of low platelet count, improvement not noted until five days later. On examination of Harrington’s bone marrow, no effect on megakaryocytes could be deduced. This suggested an effect on the platelets, rather than the marrow. The experiment was replicated on all viable members of the hospital’s hematology department, with all recipients of plasma from patients with ITP experiencing a decrease in platelet count within 3 hours of transfusion. The legacy of Harrington-Hollingsworth experiment, along with other reports published in 1951, led not only to new understanding of the disorder, but also a name change: idiopathic thrombocytopenic purpura became immune thrombocytopenic purpura. The increased understanding of ITP as an autoimmune disorder led to the development of treatments other than splenectomy. Corticosteroids were introduced in the 1950’s, and since the 1960’s a number of immunosuppressive agents have been utilised, however the evidence for their efficacy is somewhat lacking. Intravenous immunoglobulin (IVIG) as a treatment for ITP was first trialed in 1980 on a 12 year old boy with severe, refractory ITP, with the result of an increased platelet count within 24 hours, and continued increases upon further daily IVIG administrations. Pilot studies ensued, with results establishing the efficacy of IVIG therapy in increasing platelet counts in ITP patients. IVIG consumption, not only for the treatment of ITP but for various hematologic, inflammatory and autoimmune diseases, has increased world-wide since 1980 from 300kg per year to 1000 tonnes per year in 2010. Alongside corticosteroid therapy, IVIG remains a first line treatment for ITP, particularly in patients at high risk for bleeding or pre operatively. Currently, second line therapy includes use of immunosuppressants, corticosteroid-sparing agents, monoclonal antibodies, splenectomy, thrombopoietin receptor agonists and vinca alkaloids. We have come a long way since Werlhof’s apparent cure of ITP with citric acid! The 1980’s also saw new evidence arise regarding platelet destruction in ITP by investigators at the Puget Sound Blood Centre. Further studies were able to demonstrate the inhibition of megakaryocyte growth and maturation in vitro, of antibodies from ITP patients. More recently an international working group has established two major diagnostic categories of ITP, Primary ITP, where other conditions of thrombocytopenia are excluded, and Secondary ITP in which the condition is due to infection by other diseases and bacterias, for example HIV or hepatitis C. Further, categories have been established to assist with the approach to management of ITP, including newly diagnosed ITP, where the diagnosis is less than three months old, persistent ITP where diagnosis is between three and twelve months old and the condition has not spontaneously resolved, chronic ITP lasting longer than twelve months, and severe ITP, described as bleeding at presentation requiring treatment, or new bleeding symptoms which demand additional treatment with a different platelet enhancing therapy or increased dosage of current therapy. The pathogenic causes of ITP remain little understood, but a multifaceted etiology is suspected. The role of eradication of Helicobacter pylori in raising platelet counts of ITP patients has recently been explored, with a considerable variability found in response to H.pylori eradication from country to country. This high variation may be due to differences in strains of H.pylori internationally, with Japanese strains being frequently CagA-positive, and American strains usually CagA-negative. Increased platelet responses due to eradication of H.pylori are higher in patients with the CagA-positve strain of the bacteria. Personal blogs of individuals with ITP are also providing doctors and other medical professionals with greater insights into possible causes of the condition. Massive leaps in the treatment and management of ITP have been achieved within the last hundred years, though clearly there are still gaps in the understanding of its pathogenesis. Treatment for refractory ITP failing first and second line treatments is an area that may still yield improvements. Greater understanding and management of the course of ITP means more patients are treated appropriately. From “Werlhof’s disease”, to “Idiopathic Thrombocytopenic Purpura”, to the more recent and appropriate “Primary Immune Thrombocytopenia” – and a number of variants in between, all of which are eponyms – ITP continues to be a source for emerging medical knowledge almost three hundred years since it was first described in depth by Werlhof. The change in name mirrors our scientific and technological advances in treating and understanding ITP. It’s wourdefnl to have you on our side, haha!